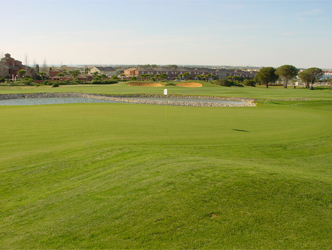 Round B (Centre): the first 9 holes are flat, with a lake between hole 5, 8 and 9. From hole 10 to 13 is hillier and offers magnificent looks over the atlantic ocean. Hole 18 has an S-shaped bunker (Severiano). Various water hazards (there are six lakes), the abundant vegetation, bunkers, as well as the ocean breeze made playing more difficult. The course is interesting for players of all levels.